As we steam ahead into April, your thoughts will probably be turning to the warm weather tasks ahead, and to putting the heating season behind us. But, before you dive into spring cleaning, it’s a good idea to take care of one final heating season task in your NJ home: scheduling your annual heating system maintenance for your oil or gas-fired equipment. Spring is the perfect time for a heating tune-up! For one thing, your furnace or boiler has just been through the rigors of another winter and can no doubt use a little attention. And another, convenient appointment times are much easier to come by. But most importantly, spring is a good time for heating maintenance because it’s not the fall. We see it every year: customers put off their service call until September – peak season for tune-ups – and then struggle to find a time that works with their back-to-school schedule. Soon it’s October, then November, and the work still hasn’t been performed. That’s a shame, because professional annual heating service will not only keep your equipment operating at peak efficiency (which means lower energy bills), it will also help you catch small issues before they become costly heating repairs. If you take care of your heating maintenance now, you’ll get those benefits for the full heating season in 2019/2020, starting from the first day you set the thermostat to “heat” sometime in September or October (don’t worry, the work our expert technicians perform won’t “wear off” during the off-season). Spring is also the perfect time for a heating system upgrade – if you plan to install a new heating system this year, why not do it now? Incentives are usually great this time of year, and you’ll beat the crowds that jam our appointment books later in the year. 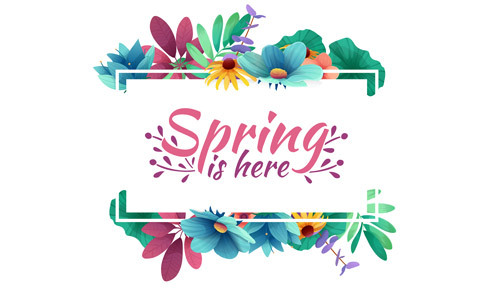 Spring is the perfect time to get your heating maintenance out of the way – why not give Hilltop Energy a call today to schedule your service appointment? Hilltop Energy: Serving our New Jersey neighbors in Bergen, Essex, Hudson, Hunterdon, Middlesex, Passaic, Somerset, Sussex, Union and Warren Counties.